I’ve watched my mom blog for a couple of years now and decided that my own blog would be a good way for me to help other kitties. I see that lots of you out there feel the same way. Cats with blogs can make a difference. Together we all can make a difference! 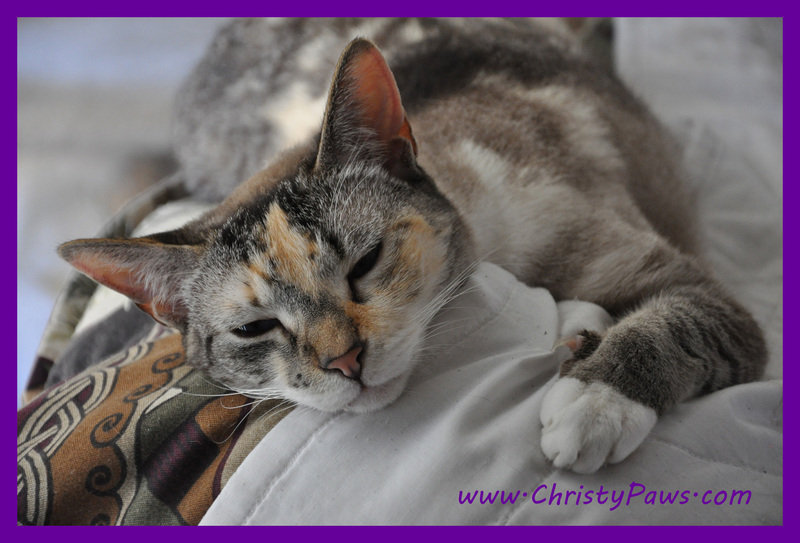 Tagged cat, MeoowzResQ, rescue, Wordless Wednesday. Bookmark the permalink. Blogs are a great way of being their voice! Happy WW! Hi, Christy Paws! You sure are one beautiful kitty! Thanks for stopping by our blog today and saying hello. We love making new furiends! We see that you are new to blogging, so please let us know if there is anything we can do to help out! So glad that you have found your purrfect furever home! You’re right – cats with blogs really can make a difference! Thank you for your very generous offer. It can be tough for the new kid on the block to get her paws wet! That’s the one great thing about blogs! What a beautiful cat! happy WW!